Princesses and Pixie Dust: Treasures Untold: Fun Facts with The Little Mermaid! Treasures Untold: Fun Facts with The Little Mermaid! Yes, the long-awaited release of The Little Mermaid: Diamond Edition has arrived, and the entire Disney fandom is rejoicing! With this new edition of the 1989 classic hitting shelves, an entire generation is being introduced to its headstrong heroine, sweeping score, and the epic tail tale about dreams coming true. 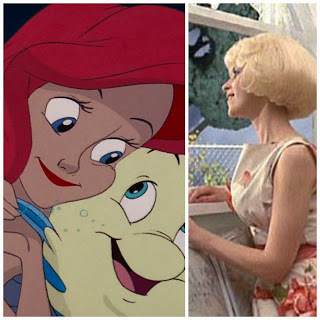 Ariel's story is very special to me for a number of reasons, but the standout among them is the fact that The Little Mermaid brought me to a deeper appreciation and love for the films of my childhood (without which, this blog wouldn't exist). I can still vividly picture my thirteen-year-old self huddled under the covers at 3 AM, poring over behind-the-scenes featurettes and commentaries on the family's portable DVD player (hah! ), agog with the newfound understanding of how monumental this movie truly was. It held a place in something greater than my own history, or even the histories of the other millions of children who clamored over this now-nostalgic gem; The Little Mermaid began an era and breathed fresh life into a company struggling to bounce back from a tragic loss. Of course, I soon came to realize that Ariel sat atop the tip of an iceberg (hey, it is a Danish story! ), with decades of animated masterpieces just waiting to be explored! Arguably the best thing to come out of those nights (other than, y'know, an enduring love for the Walt Disney Company) is the treasure trove of trivia imparted by the smorgasbord of bonus features and behind-the-scenes goodies on my Platinum Edition DVD... so what better way to celebrate the newest release than to recount my favorite fishy fun facts?! 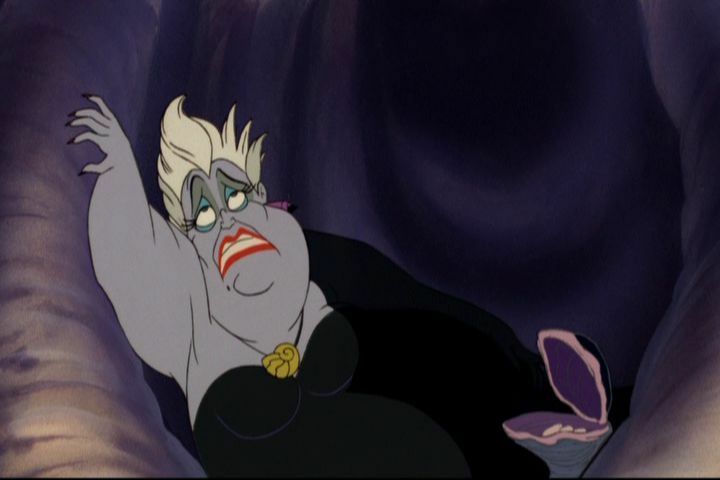 1) "Part of Your World" was nearly cut from the film. At a test-screening during the film's production, Walt Disney Studios chairman Jeffrey Katzenberg noticed a child becoming restless during the now-beloved ballad, declared it "boring", and pushed to have it removed from the film. Luckily, Glen Keane (Ariel's lead animator and- let's be real- living legend) convinced the big guy to give the song one last shot... and the rest is history! 2. There are over a million bubbles in the movie... and they're all hand-drawn! I know, Sebastian. I know. 3. Songwriters Howard Ashman and Alan Menken collaborated previously on the off-Broadway hit Little Shop of Horrors. 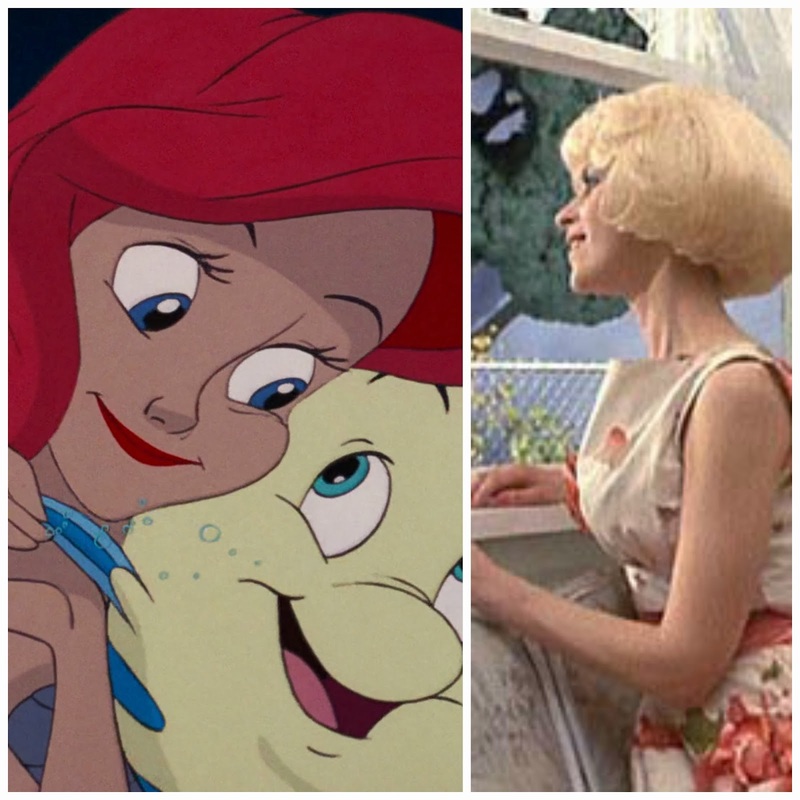 In fact, "Part of Your World" was fondly nicknamed "Somewhere That's Wet"- a reference to the "I Want" song of Little Shop's heroine, Audrey. 4) Walt Disney attempted to tackle the Hans Christian Andersen classic decades before it was a twinkling in the animators' eyes. The film's directors, Ron Clements and Jon Musker, found the concept art for an adaptation dating back to the 1930's while researching the story idea (which I can't seem to find at the moment!). ... in the words of voice actress Pat Carroll: "Because it is less expensive to draw!" Do you have any trivial tidbits stored away in your arsenal? And, more importantly, will you be picking up the fancy-schmancy new Diamond Edition? Let me know in the comments below!